I had the pleasure of attending the Color Vibe 5K event just outside of Akron to support my cousin Matt and his wife Monica. While I was there I decided to take a bunch of photographs of the start and then the last color station just before the finish. 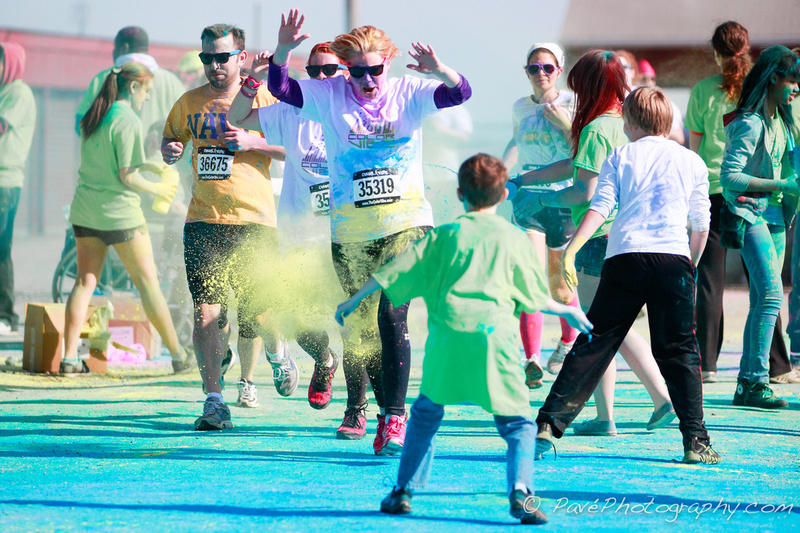 The photograph below is of that last color station where participants get blasted with the color blue by volunteers. There are about 5 or 6 color stations each with a different color. Some try to avoid the color, while others relish in getting doused. I have them posted here so take a look. If you participated in the 5K there is a chance you made my photos. If you aren't familiar with these events check out Color Vibe's website (www.thecolorvibe.com). They seem like a great organization that gives back to the communities they hold events in. So if Color Vibe comes to your town please considering participating. On Sunday the whole family including my sister-in-law and her twins went to the Pittsburgh Zoo and Aquarium. The weather was great and so were all the animals. 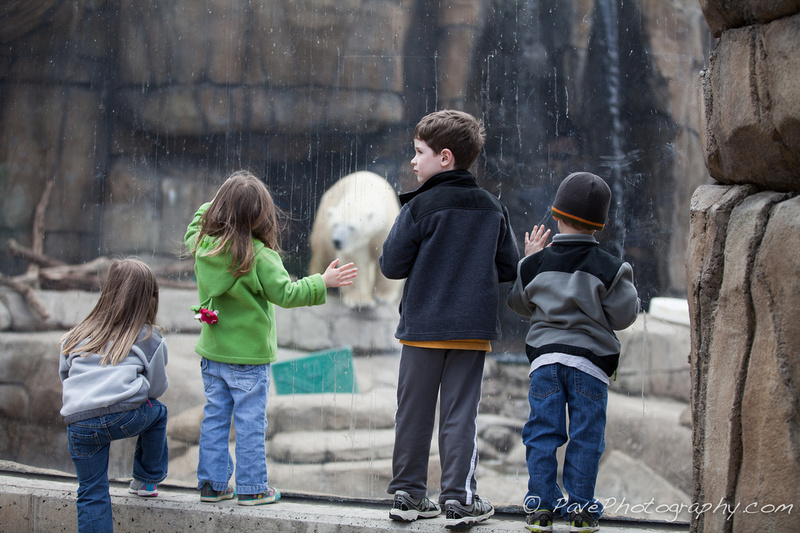 I have been to the zoo many times and one of my favorite features are the polar bears. In the past it seems every time we get to the polar bears, they are taking it easy and not active at all. Well, this visit was different! I am not sure how many polar bears are actually in the exhibit but the one that was out was extremely active. It was like music was playing in his head and he was dancing to this beat, repeating the same steps and head movements for quite a while. The kids were glued to the window as they watched this dance routine. Eventually we left and went below into the tunnel and the bear followed by entering the water and playing with a floating box and entertaining the crowd. This was by far the highlight of this trip to the zoo and aquarium and we will definitely be back soon. We were all at the park today. Jonah for T-Ball and the rest of the kids to play at the park. 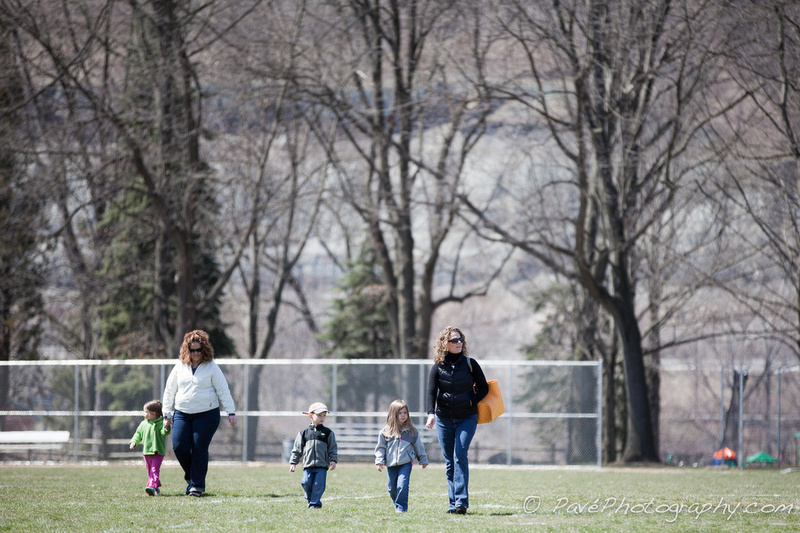 The girls and Matt decided to come check out T-Ball and as they walked across the field it reminded me of the movie Reservoir Dogs.